St. Patrick's Day Decor & Free Printables! 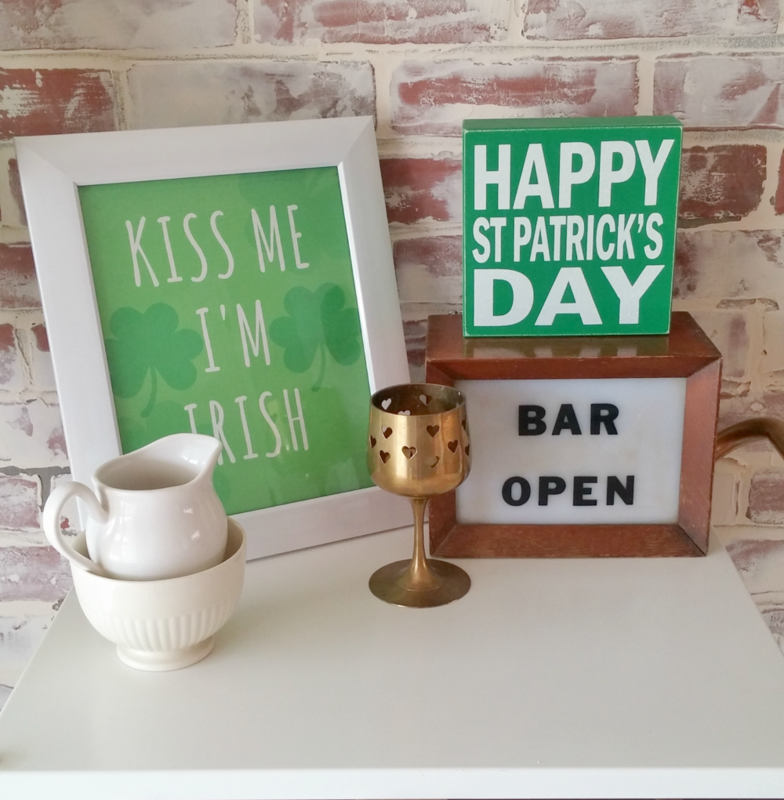 I'm sharing my St. Patrick's Day decor and I made two free printables to help you put together a little vignette of your own! I made this banner several years ago. 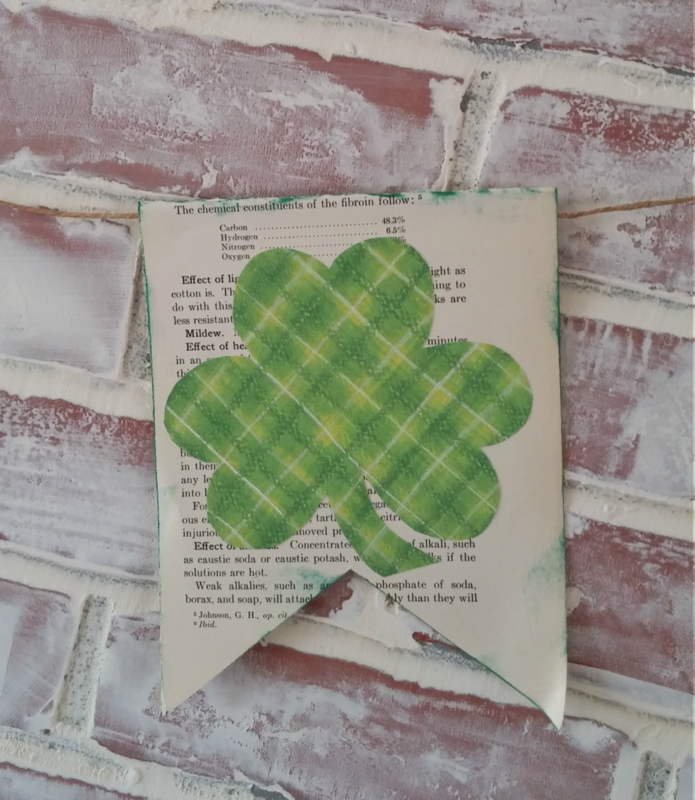 It's made from old book pages that I cut into a pennant shape and then folded the top over a piece of jute twine to hang it. 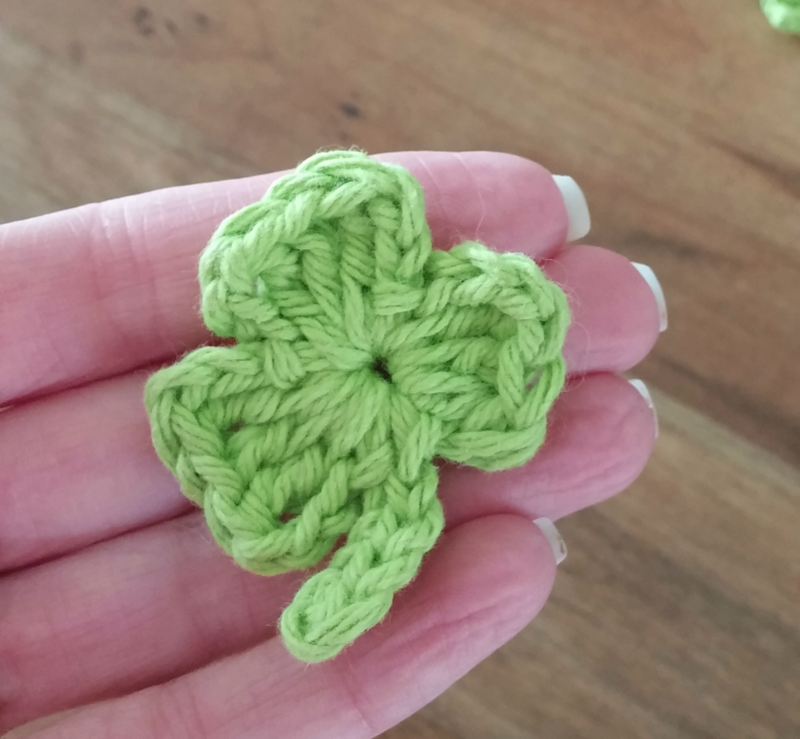 You can google "Clover Clip Art" to find a pattern you can print. I cut mine out of some cute scrapbook paper and used a glue stick to adhere them to the book pages. 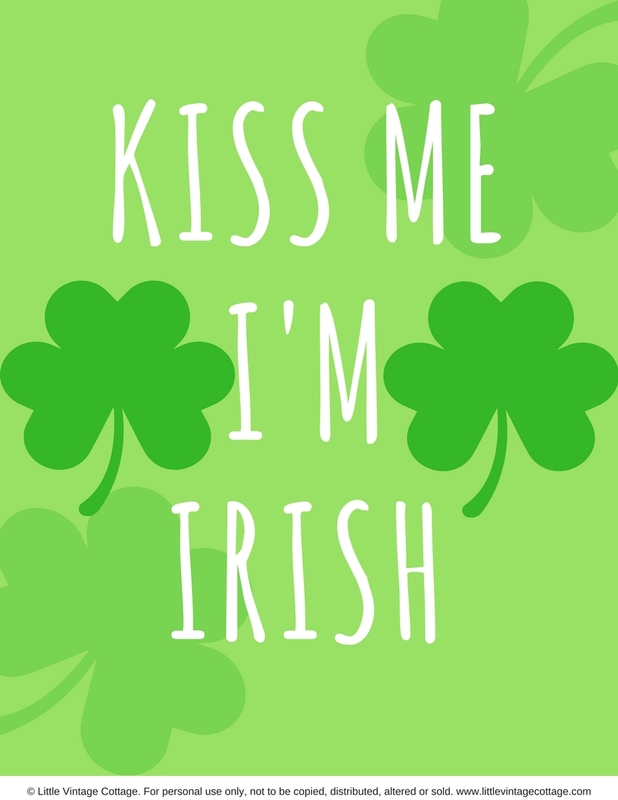 I made two fun St. Patrick's Day printables for you (they'll be available at the end of this post), this is one of them. 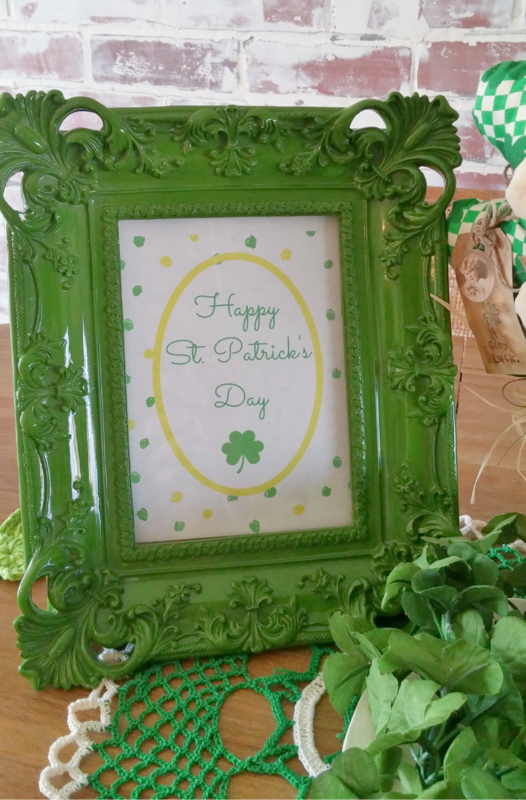 I found this frame at Goodwill and knew it would be perfect! 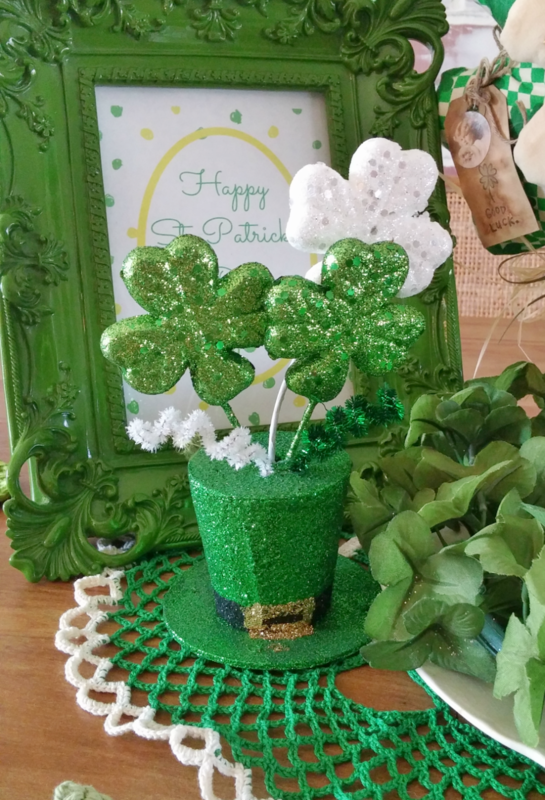 I found this glitter hat decoration at The Dollar Store last year. I made this little lady probably about 10 years ago! She's called a "Make-do" which simply means I made her with what I had on hand... you make do with what you have. I love her little kissy lips! 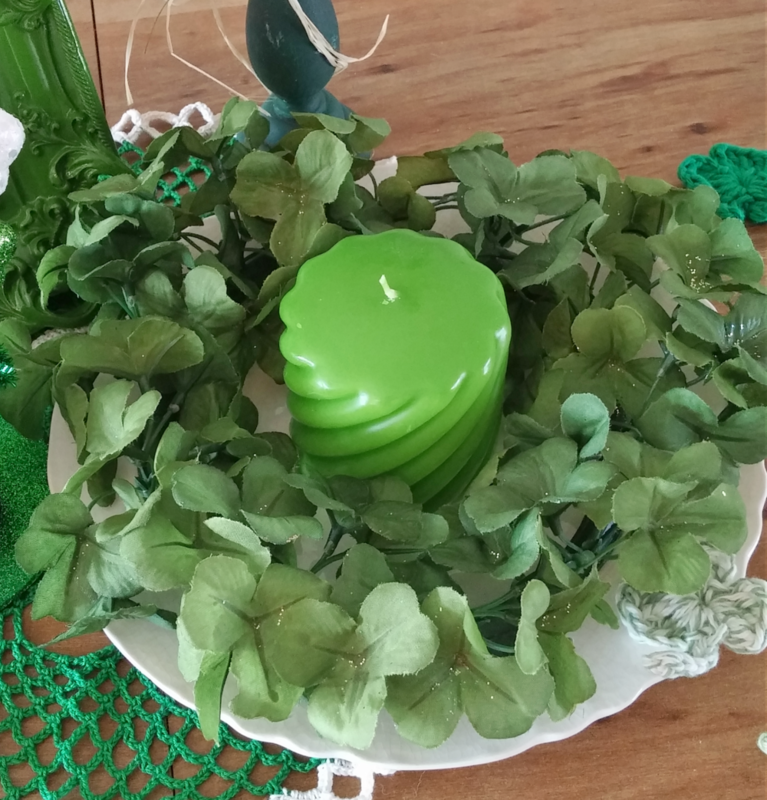 I found this pretty green candle at the same time I found the green frame. 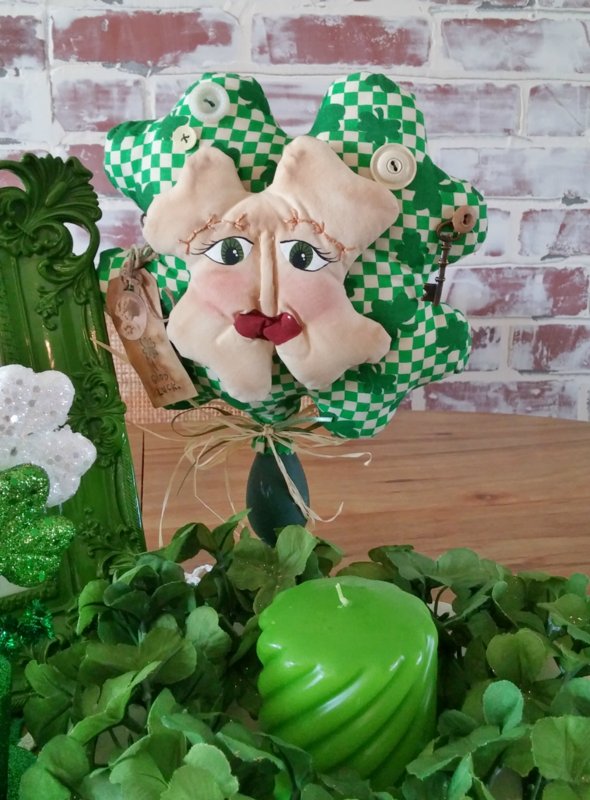 I've had the clover candle ring for years. 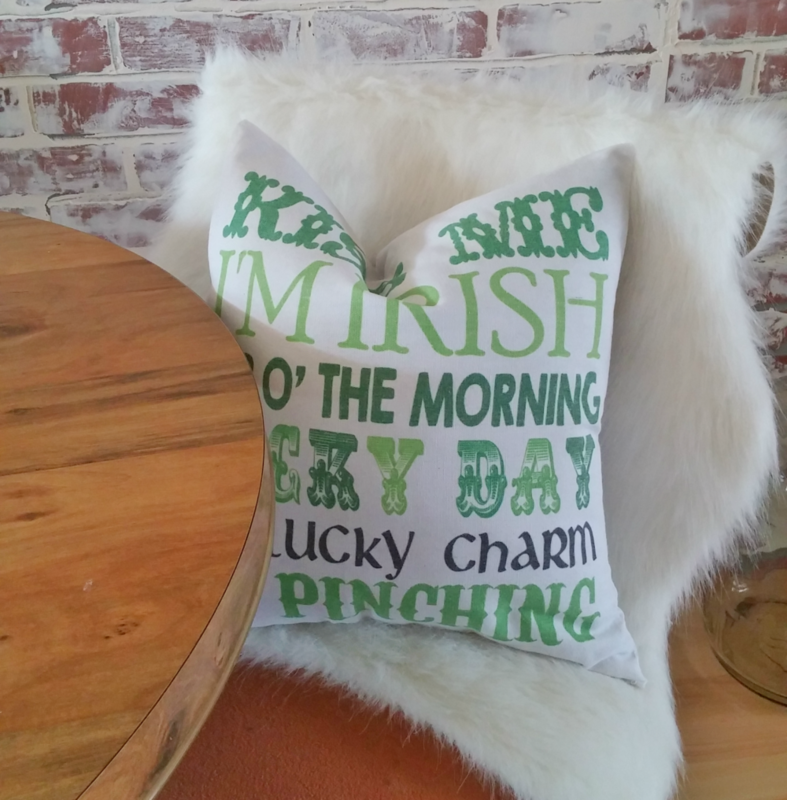 I found this pillow cover a couple of years ago at Pick Your Plum. 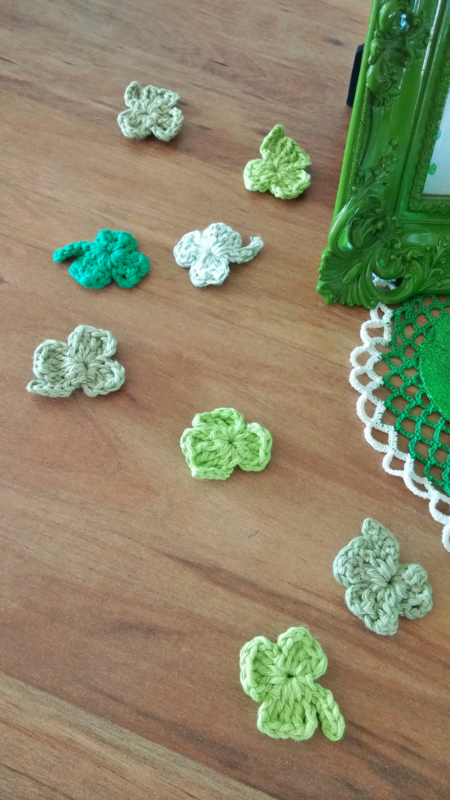 I found these crochet clovers on Etsy. The wooden sign was from Hobby Lobby last year. 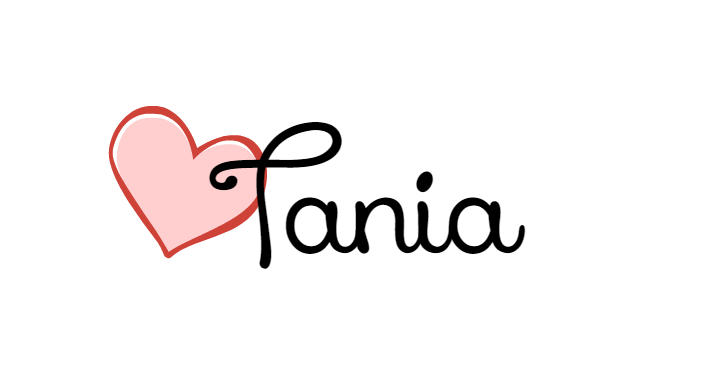 And this is the second printable I made. 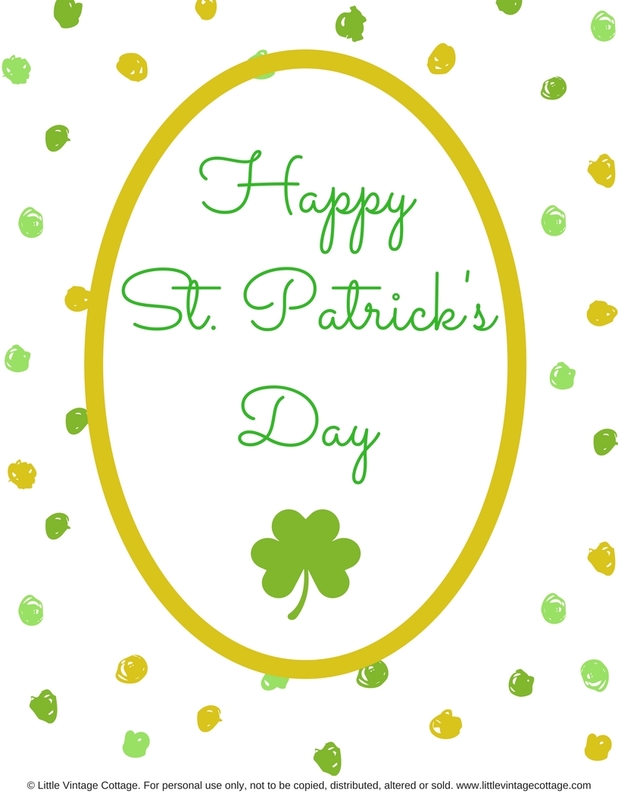 You can download the printables HERE... print them in their original size of 8 1/2" x 11" or size them down like I did for the 5" x 7" in the green frame! 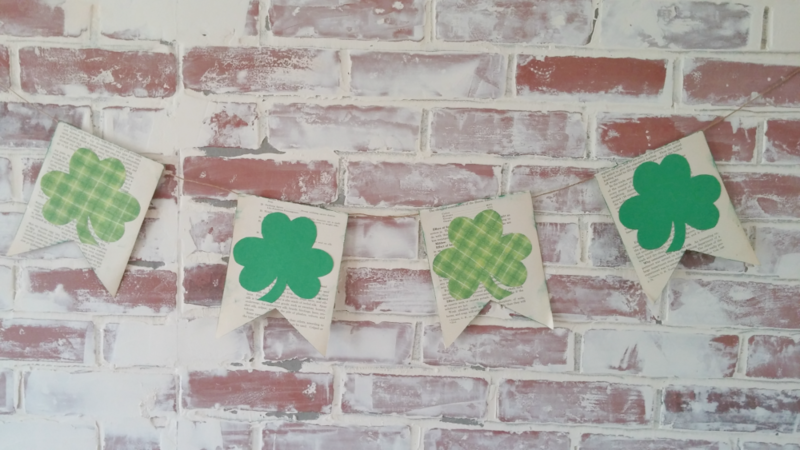 Fun decor and printables! 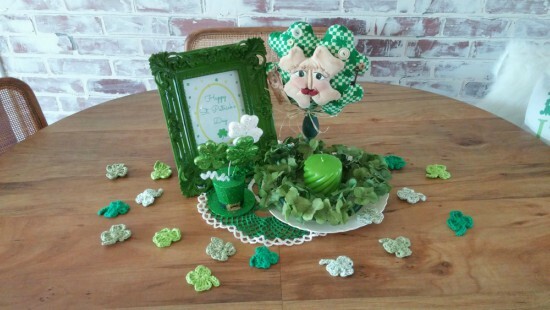 I was inspired to get out my St. Pat's banner and a couple of decorations. I love the banner you made and it looks so nice against that beautiful wall. Thank you for the printables. Thanks Vikki! And you are very welcome, I hope you print one or both out!! Yay! 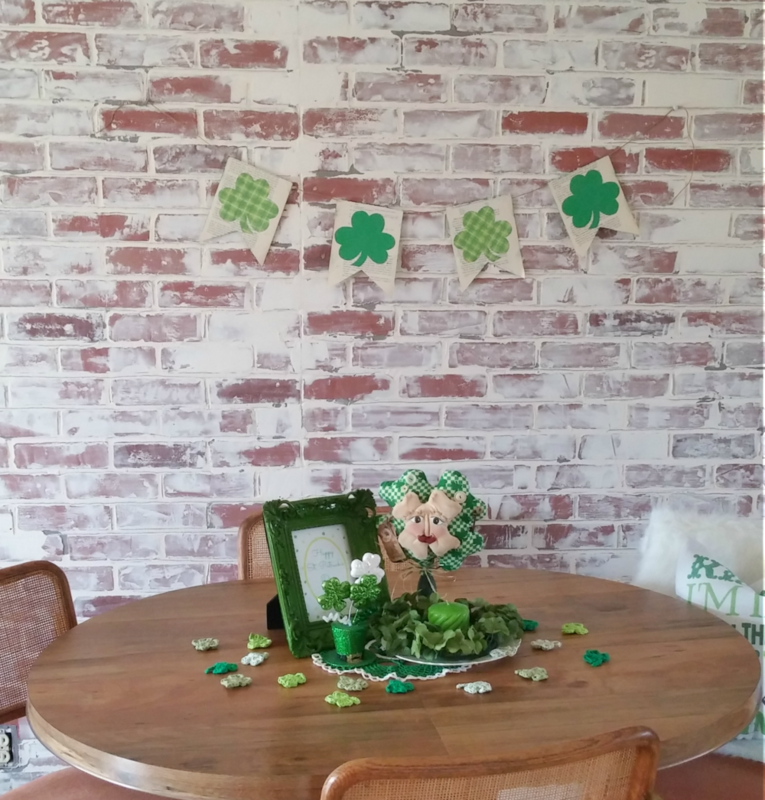 I was surprised by how much St. Patrick's Day decor I actually have! There were a couple of new items that I bought last year that I had forgotten about! So pretty, Tania, and nice of you to share. I am rediscovering green. 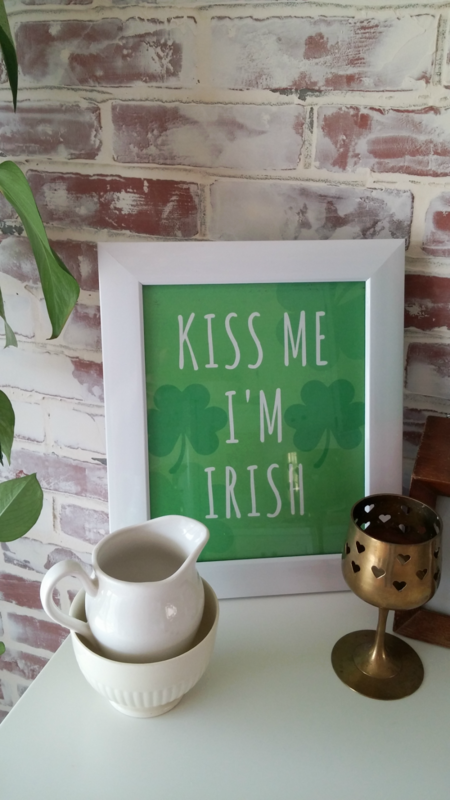 Thank you, I'm glad you liked the printables!